Septicemia resulting from a boil on his upper lip. 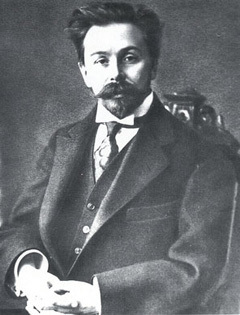 Faubion Bowers, Scriabin: A Biography (2nd Edition, 1996), pp. 68-69: "Even today within these post-Freudian latitudes, to impute homosexuality -- latent, passive, or ultimately triumphed over, as it was in Scriabin's case, in my opinion -- still it would be recreant to shirk a rather homosexual interpretation of Scriabin's life. Incontrovertible proof cannot now be dredged up from the past, but so many signposts there seem to be."